If you haven’t done it already—Google yourself. But before you race off to the nearest search engine, here a few suggestions. Then search Google Videos, check Google Groups, and review any posts that match your search in Google Blogs to see if anyone has mentioned you in an online post or discussion group. Narrow your search by combining your name with the name of your city, school, business, and other topics. Also beware that recent changes in how Google tracks what you search for are now affecting search results. That means your past searches on your own name may give you a distorted view of your search ranking on Google because if you click on your own site on a regular basis, Google will assume that you are very interested in your own site. Search for it and click on it regularly, and your site will score higher and higher in your search results, but that may not be the result when anyone else searches for you. Similarly, Google now factors in your location, so if you live in Kentucky and your friend lives in Kiev, you’ll get different results for your name search, just as you’ll get different results when you search words like restaurant or dog park. To get the more accurate search results today, “go incognito.” The Google Chrome web browser now includes a way to surf without revealing your location, IP address, browser history, and other identifiable information. As a result, you get clean Google search results that aren’t affected by the search engine’s ability to track your search history. To surf incognito, click on the little wrench icon in the top-right corner of the Google browser window, and from the drop-down menu choose “New incognito window.” You can download Google Chrome for free and, like most web browsers, it’s quick and easy to install. Microsoft Internet Explorer, Firefox, and Safari also include options for “private browsing,” that will block the ability for Google and other sites to track your surfing and search history. Although Google is the 800-pound guerilla in the search world, it’s important to go beyond Google by searching Microsoft’s Bing.com, as well as specialty search engines organized by profession, includingRateMyTeachers.com and RateMyProfessors.com, healthgrades.comand vitals.com (for doctors), and IMDB.com (The Internet Movie Database, for those in the film or television industry). If you’re a small business owner or service provider, you should also check Yelp.comand Angie’s List. 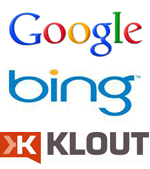 For the latest in online reputation ranking, compare how much influence you have in social media circles by checking your scores atKlout.com, Peerindex.com, Empire Avenue, and the newest,PinReach.com. Even official criminal records can get mixed up or include inaccurate information. Blemishes in your online record can hurt you, especially if you don’t know that they are there. If a potential employer runs a background search on you and finds that you were convicted of a felony, they probably won’t tell you that they discovered you were arrested, they will just drop your name off the list of callbacks. Unless you know it’s there, you may never get a chance to defend yourself or point out the error whether the information is true or not. Invest a few dollars in a comprehensive background search service, and make sure there’s no stain on your record stemming from a bureaucratic mistake. Bottom line: search for yourself early and often. The first step in taking control of your online reputation is finding out everything the Internet is saying about you. Keeping tabs on the information that search engines are reporting about you isn’t just an exercise in vanity—it’s a crucial part of protecting and building your reputation online and off.